Cristina writes for Fixr.com and is a popular contributor to The Money Pit, offering remodeling & home decor ideas that help homeowners make better decisions about their home improvements, and save money while doing them! 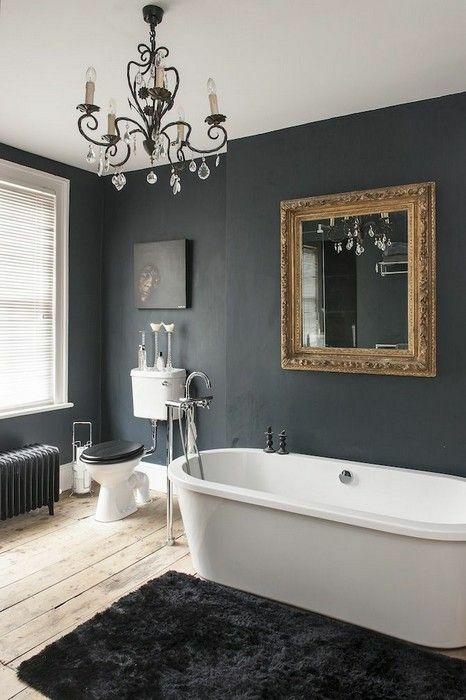 Let’s face it, flush away a pile of cash upgrading your bathroom! Luckily, you don’t have to. Here are 4 low-cost ways to spruce up your space for under $200 bucks! 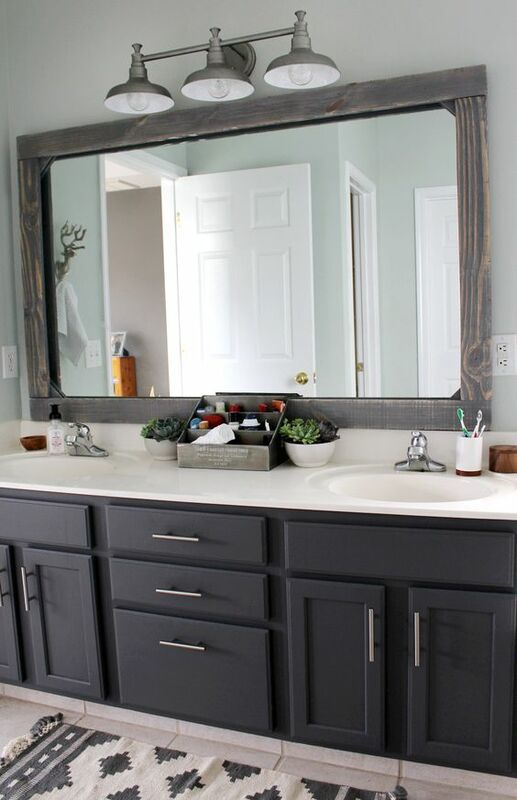 Painting your bathroom cabinets is a quick, cost-effective way to make a change. It is a fairly simple process, but you will need some time if you plan to take the DIY route. You will need to take off the doors and take out the drawers to allow them to be painted separately. Then, all surfaces that are to be painted need to be washed, sanded or primed, and then painted with a color of your choice. If that sounds a bit too complex, you could pay to have it done by a professional, which would start at about $186. 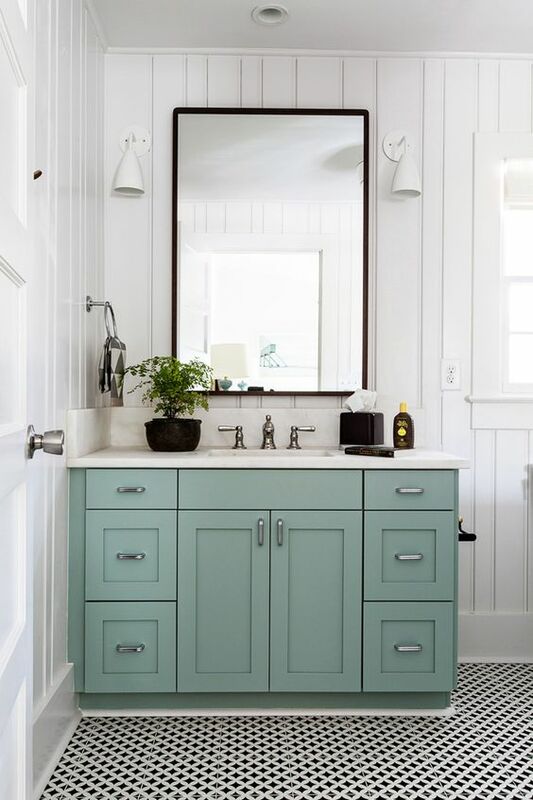 Also, because we don’t spend a lot of our lives in our bathrooms and it is relatively easy to change, it is the perfect space to experiment with an unusual color. And if you get bored in a few years, you can simply paint it again, with little cost. We often have mirrors in various rooms throughout the house – in our entrance hall, dining and living rooms, and bedrooms. However, one of the most useful places to have one is in the bathroom. Not only is it a helpful element to make sure you start your day looking your best, but a mirror also reflects light and can help make your bathroom look larger. That said, mirrors are often one expense that is not considered in the initial bathroom build, and we often settle for a frameless, wall-mounted builder’s mirror, which does the job but is not very glamorous. Your local DIY store will have a great selection of off-the-shelf molded cornices, skirtings, and ceiling roses that you can combine in any number of ways to create an ornate frame for your mirror, that will not cost an arm and a leg. By simply adding a frame, you can create an instant statement piece in your bathroom for as little as $30. Adding a statement pendant to a bathroom immediately sets the tone. A simple room can be transformed into a luxurious retreat with the addition of an interesting, dramatic pendant or chandelier for as little as $58. 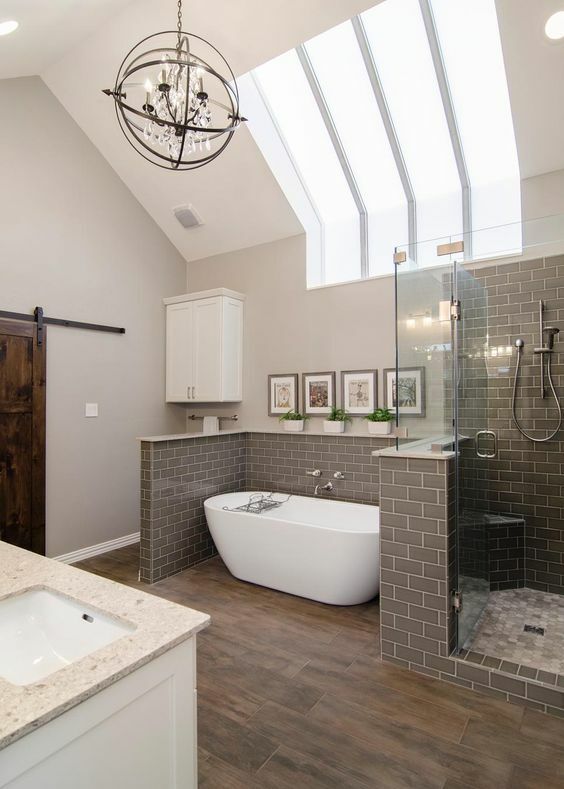 Before you buy one, however, check safety regulations for lighting in high-humidity areas, though you will not have a problem with most lights if the space is well ventilated, and the fitting is out of the splash range of the shower or bathtub. Also, because we use our bathrooms to perform specific tasks like shaving or putting on makeup, when we need bright lighting, or relaxing in the bath with a glass of wine after a long week, when we want low lighting. Also, it is important to consider the position and use of the lighting it will provide. Consider if the light is used for general, task, or mood lighting and decide how much light you will need from the chosen point. When you buy the fitting, you will be given an indication of its wattage and lumens so that you will be able to buy the perfect light for your specific needs. A change of taps, toilet, and shower head is an easy way to bring your bathroom into the future, and we are not only talking about a change in style. Low flow fittings limit the amount of water that flows through the fitting per minute, helping to save water and money. The fittings are carefully designed with water flowing through smaller holes at a higher pressure to ensure that you do not compromise on how the water flow feels, while doing your part for the environment. Although the biggest savings comes from updating your toilet cistern, if budget is an issue, then start with a new shower head for as little as $19.99, and once you have make back the expense in water and energy savings, you can slowly add in other water-wise features.